Based in Northampton, we offer homeowners and businesses across Northamptonshire and the Midlands the very best in double glazing installation. Established in 1984 we’ve brought a friendly and personal approach to the window installation market for over a quarter of a century. We’ve kept our team small, tight knit, focused and friendly which enables us to offer consistent quality standards recognised by organisations like Certass and Cinemark. We work alongside private homeowners and commercial businesses offering complete expertise in windows, doors and conservatory installations. As we make our own double glazed units, we’re never waiting on another company to deliver, never unsure what’s possible. With Abington Glass every step comes from experienced employees and every product comes with a 10 year warranty on frames, 10 years on glass fitted into our own frames, 5 years on double glazed units and 2 years on hinges, locking mechanisms, and handles. Something else special about us is our approach to sales; we genuinely promise no hard selling, no pushing extras on you that you don’t need. When we quote it’s a free, no-obligation service and we are all about offering honest advice and suggestions to make your ideal situation a possibility. To us a happy customer that recommends us on is far preferable to squeezing in a few extras and getting a bad reputation! With a huge range of styles to choose from, complete flexibility on colours, openings and all sorts of decorative and practical add-on options such as sculpted beads, trims and security measures we can guarantee you’ll find exactly what you’re looking for with us; we’re also highly experienced at matching new installations to current frames and doors. 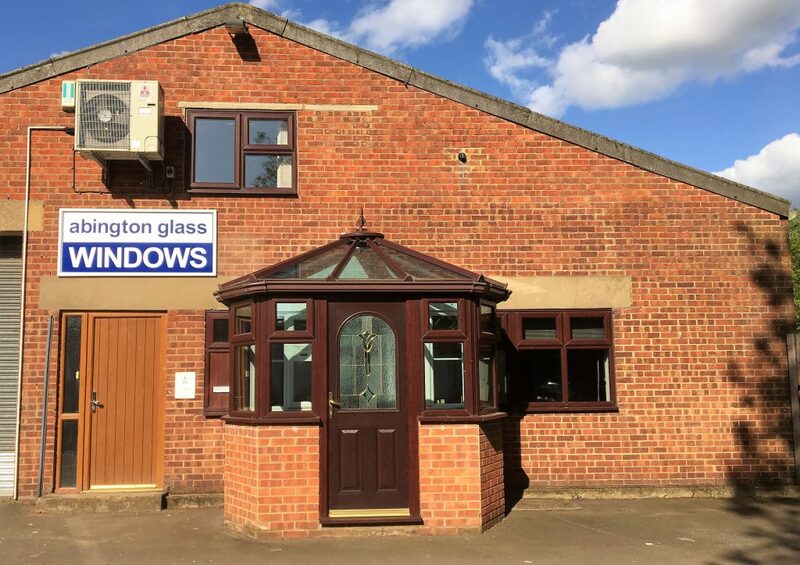 So whether it’s windows, doors or conservatories, speak to us at Abington Glass today and get great advice from one of our lovely team members.